Today, Cummings School of Veterinary Medicine lost a dear friend. The passing this morning, of Dr. Henry Hank Foster leaves the school to honor its most ardent champion and longest-serving benefactor. Dr. Foster was truly the heart and soul of the School of Veterinary Medicine at Tufts University. 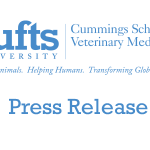 It was through his early efforts that a partnership was forged between the Commonwealth and President Jean Mayer of Tufts University to establish a veterinary professional program in 1978. By then, Dr. Foster had firmly established his own non-traditional veterinary career as the CEO of Charles River Laboratories, a supplier of animals for research and development in the biomedical sciences. Throughout his life, Dr. Foster advocated for the humane and appropriate use of animals and supported our school’s efforts to effectively educate new laboratory animal medicine clinicians. 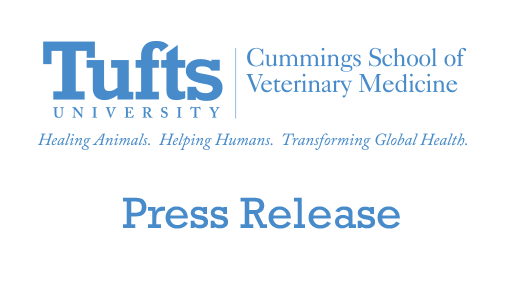 Charles River Laboratories, headed now by Dr. Foster’s son, Jim, remains a valued partner and supporter of our Masters of Science in Laboratory Animal Medicine program as well as other Cummings programs. Dr. Foster touched nearly every element of our school with his thoughtful guidance and generous support. Our Henry and Lois Foster Hospital for Small Animals, now seeing over 26,000 cases per year, could not have been a reality without Dr. and Mrs. Foster’s vision and generosity. Dr. Foster watched our clinical and teaching facilities grow with great pride and, more than anyone, understood the work that had been required to bring the school to its current level of excellence. Many of our students will remember Dr. Foster for his establishment of the prestigious Foster Scholars program, an enormously generous scholarship awarded annually to some of our most outstanding students. Dr. Foster’s son, John, graciously participates in Foster Scholar selections each year and, like his father, believes that, bar none, we have the very best veterinary students in the country at Tufts University. Dr. Foster’s wisdom, strategic thinking and devotion to our school and to the veterinary profession made him a willing mentor and confidante for every dean since the founding of the school. I know I speak for all of us who have benefited from Dr. Foster’s guidance when I say that he was a tremendously gracious gentlemen who served as a role model for straight talk, kind understanding and support. For eighteen years, as chair of our Board of Overseers, he shared—and instilled—his passion for the Cummings School with other overseers and generous friends in ways that have yielded enormous benefits to the school. Even in passing, Dr. Foster was taking care of his school. He asked that memorial contributions be directed to the Cummings School of Veterinary Medicine. Dr. Foster’s funeral will take place on Thursday, October 16th at 10am at Temple Beth Elohim, 10 Bethel Road, Wellesley, MA. Additional information will be available tomorrow. Please keep Dr. Foster’s family—his wife, Lois, sons Jim, John and Neal, and their families—in your thoughts.